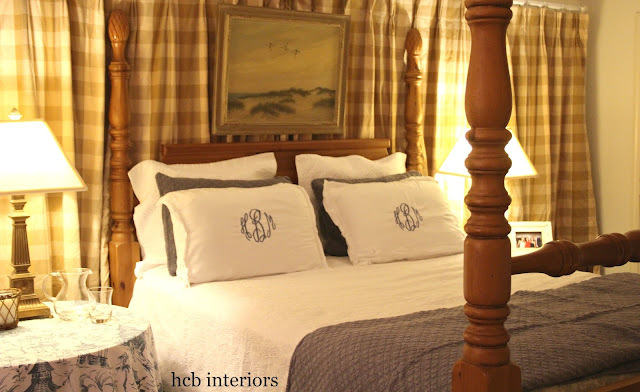 hcb interiors: One Room Challenge, Fall 2016 - The Big Reveal! One Room Challenge, Fall 2016 - The Big Reveal! Well, it's the end of the One Room Challenge, and while it's not a huge transformation, I'm happy to say that we have a cozy, clean space to offer our guests and we did it on a tight budget (under $200 to be exact). When we started 6 weeks ago, the room was a cave-like space in our basement that we used mostly for storage, and would frantically clean every time a guest arrived. Full of plastic storage bins, and lacking both windows and overhead lighting, it didn't exactly scream welcome. 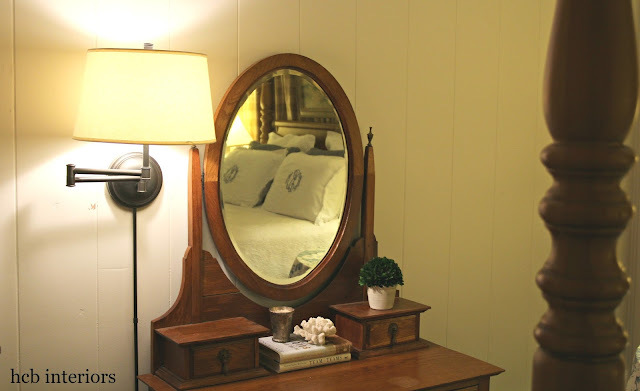 The main challenge came in trying to brighten and lighten the space while sticking to a practically non-existent budget (we mainly reused items from around our home). I think we accomplished our goal. To see the progress, you can check out my posts from Week 1 , Week 2 , Week 3 , and Week 4/5. Next up on my to-do list: learn how to use my camera so that taking pictures of a windowless room in a basement isn't such a challenge! Now on to the reason why everyone is here - the Before and After! In addition to the lamps placed around the room, we installed this plug-in sconce on the wall right next to the door. Now you can turn on a light the second you walk in the room, as opposed to walking across a dark room to turn on the lamp on the nightstand, the only option previously for lighting the room. Every good Southern room needs a little blue and white. This large wall across from the bed needed something to fill it, especially because this is the view when lying in the bed. 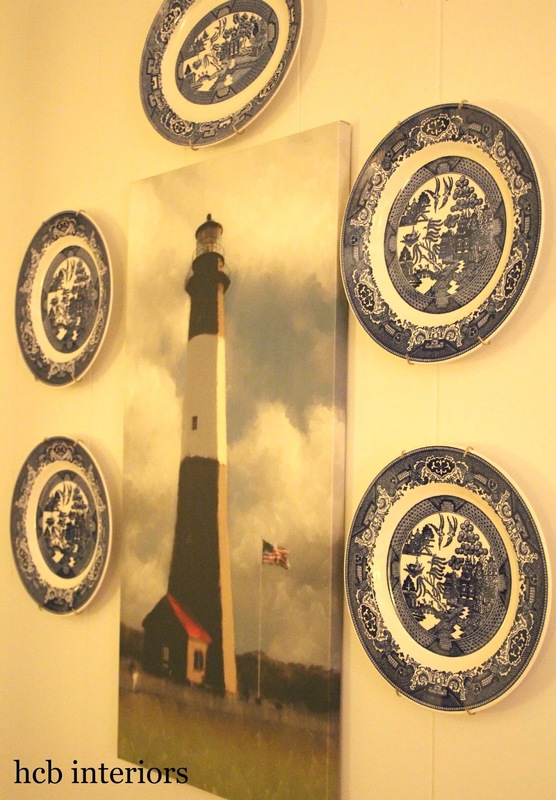 One of our favorite paintings by a local artist of the Georgia shore, surrounded by some of my Blue Willow collection, adds a fun boost of color in a mostly neutral room. As always, I am so glad we participated in the One Room Challenge. Thank you so much to Linda for creating the ORC, and for providing encouragement to create a space in your home that you truly love. Be sure to check out the other participants; there is so much talent out there! The wall of curtains is genius...love the warm, inviting effect. It certainly doesn't look like a basement...wow! Thank you so much, Jeanne! I'm glad you don't think it looks like a basement, that was my entire goal. I appreciate it! Love your approach in a subterranean space - dial up the coziness with lots of textiles (especially the wall of draperies behind the poster bed). Great job! 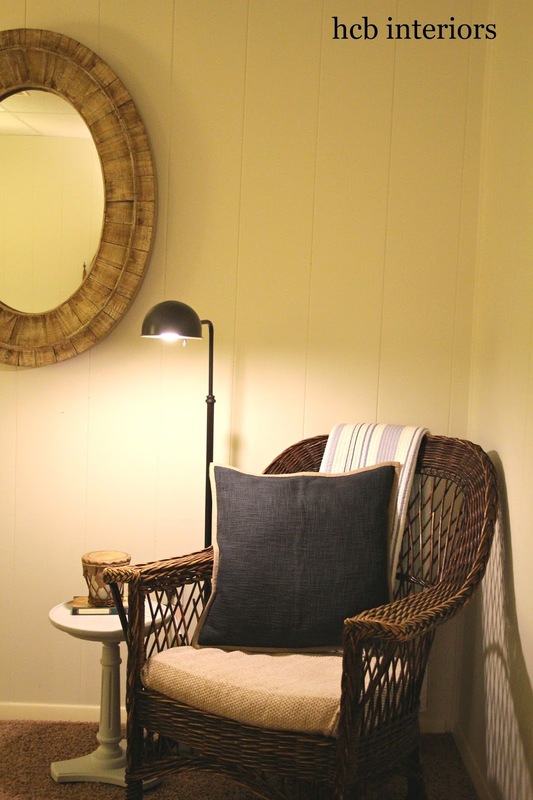 I love that reading corner! Such a stunning reveal - congrats!! Thank you so very much, Jennifer! I appreciate your taking the time to stop by and comment! Looks wonderful! That tablecloth is steal and I love your plates on the wall. 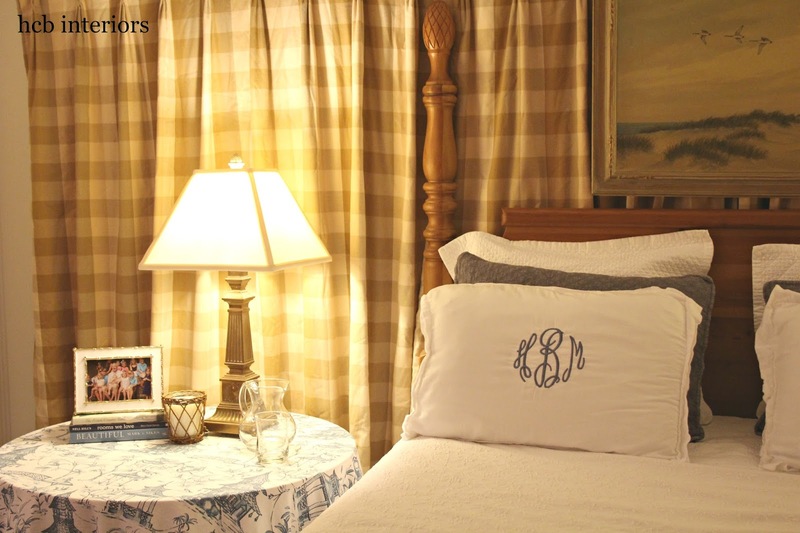 I love the tan and white buffalo check curtains and the softness they add! Such a great design trick in a basement without windows.Looks very warm & cozy! Thanks so much, Melanie! That room has bugged me for years; so glad to have it finally done! 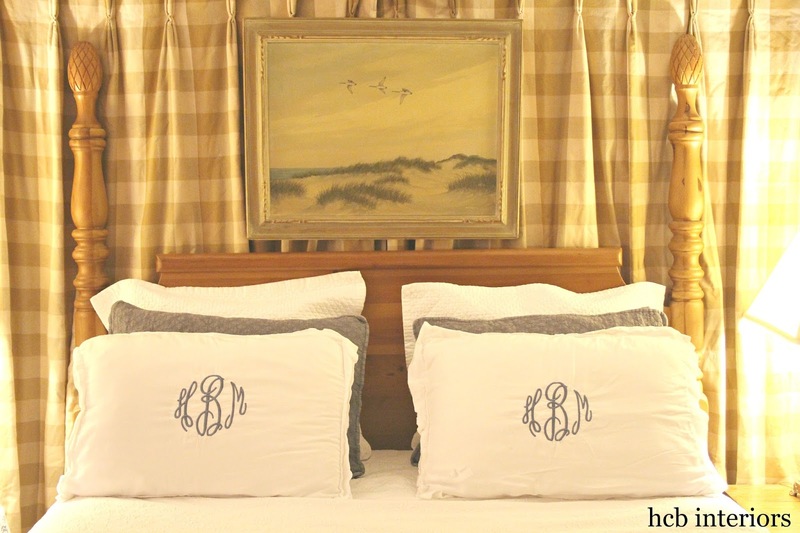 What an amazing job you did on your guest bedroom and for under $200, wow!!! It looks beautiful Holly! Thank you so much Tara! Have a wonderful rest of your week! 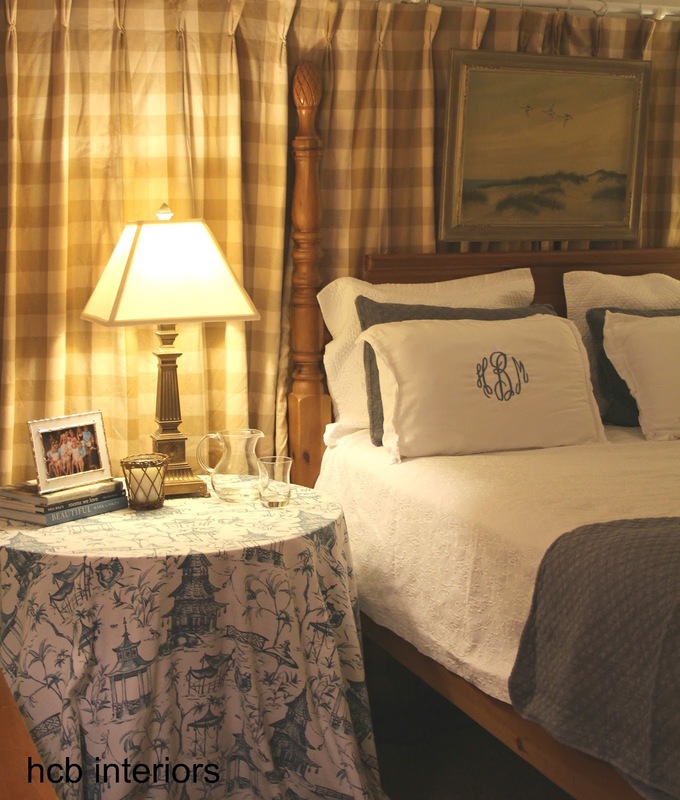 a beautiful bed and breakfast feel, great job! thank you Maria, I appreciate it so much! Thank you so much Kari, you are too kind! Happy Thanksgiving!